Sitting in the athletes’ forum Q&A on Friday, the day before the Buffalo Stampede I was struck by two things. Firstly how wonderful it was that so many people were willing to put themselves through some serious ‘hurt’ and embrace SkyRunning. But secondly, how slightly disappointing it was that we’re still only at a level whereby female participation in ultra running sits at around the 20-25% mark. I know this because that’s the split of Ultra168’s audience demographic, but in also talking to some of the sport’s pros, such as Anna Frost it’s painfully clear that if we need an equal balance of male and female participants if we’re to ever grow the industry further. In fact it’s imperative in all walks of life. Outside of running I sit on a board at work which is driving change in this respect, aiming to have a 50:50 split of women in top managerial positions over the coming five years. I’ve also done extensive research on the topic in a business context to look at and understand why women are so poorly represented in the upper echelons of management. For me personally it’s a big issue and something I’ve been involved with now for a number of years. Ladies like Susan Keith from the Blue Mountains have surged into the sport, but we need to cater more to women to encourage them to enter the ultra running scene. More numbers = a better sport = better standards and better people. Coming away from the weekend at Buffalo was a fantastic experience to see so many women achieve their goals. The highlight for me personally was seeing Jacinta O’Neill fly under the radar and win a major race. It’s in a similar vein to what has just happened over the ditch in New Zealand, with Jo Johanssen taking the ladies scene by storm. I spoke to BCR’s Grant Guise about it before race, simply asking ‘where has she come from?’ To which all he could do was shrug his shoulders. And this seems to be the trend that we’re seeing… too much is left to chance and we rely on a few ladies to push their heads above the parapet and into the upper echelons of the sport. The fact is that we’re not investing enough as an industry to ensure that talented women are coming through the ranks and into the mainstream competitions. Right now, the sport is far too geared towards men and there are many barriers that women face, which if we’re to progress as a sport and have equal representation, we need to overcome with action. In some respects, I hope that we’re preaching to the converted here, but what we’d like to do is to take a moment to run through some of the challenges and barriers women face so that we can create a greater understanding amongst the community. Then of course offer some solutions that we can all be a part of. One of the best parts of the weekend just gone was the opportunity I had to spend lots of time with some of the ladies of the sport, namely Anna Frost, Samantha Gash and Jo Brischetto among many others. I’ve been thinking about writing this article for a while – but I am a man. I need to hear it straight from the women who’ve made a real fist of this ultra running thing and I couldn’t think of three better ladies who could offer some valuable thoughts. So what are the barriers that women face when it comes to ultra running? In speaking with Anna Frost, she relayed to me how back at home in New Zealand she runs with many talented women, yet so few of them go on to enter competitions, which is mainly due she feels, to a lack of confidence that women have in a competitive environment. This is in stark contrast to men, where ego and testosterone are evident in volumes. For the most part however, that couldn’t be further from the truth when you look at our sport. The vast majority of men and women are extremely humble – indeed a conversation I had on the Saturday evening in Bright with a female pro cyclist was rather telling. 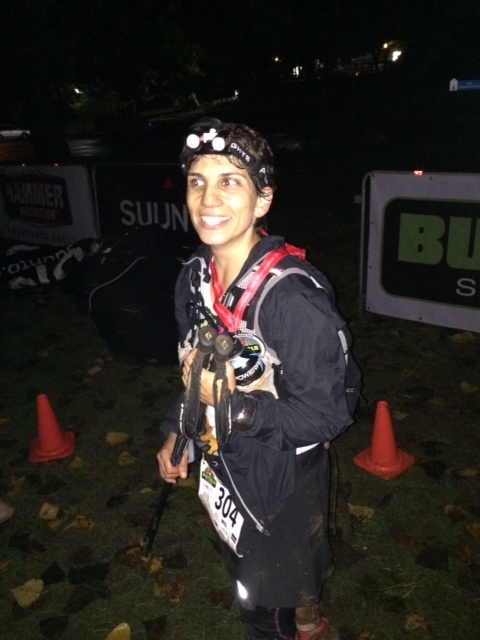 She was astounded at how friendly and unassuming ultra runners were, something she assured me was non-existent in her sport. But perception is everything. Kathy MacMillan is another runner that has put together some fantastic results of late. As these ladies rise through the ranks, more support is required to help them further their ambitions and guide them through. So what exactly can we do about it to help boost the numbers of women in ultra and trail running? Well again, I hand over to the ladies to help answer this one. 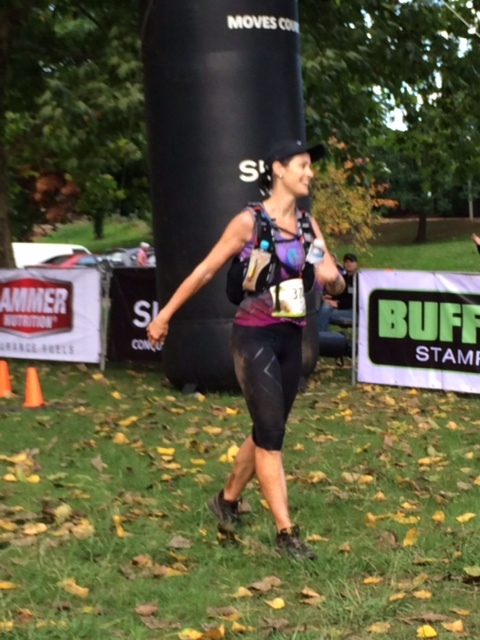 One of the ideas I tossed around in the car with Anna Frost on Saturday Buffalo as we chased around the leaders was whether or not there should be more female-only events. Do that and you remove a potential barrier to women thinking about entering events – male ego. For most women, ego doesn’t exist, but place them in a male dominated environment and perhaps the swathes of testosterone is just too off-putting to want to toe on the start-line. And who could blame them? Us men can be real idiots at times! “Community building is the key to facilitating a shift of women to running trails. It requires a non-threatening environment where women feel safe and without pressure to be of a certain speed or ability. Having group runs that are done to time (e.g. 30 mins out and 30 mins back) takes away the pressure for people to keep up. Having online ‘closed’ groups for women to arrange training runs also helps women feel safer when planning runs. Mentorship also plays a huge roles in bringing more women through the ranks. They might not know it, but those women who are known within the trail and ultra running circles have a huge influence on other women around them and should use that position wisely to help encourage and develop the community of women in our sport. The current ‘women of trail running’ have the potential to play a big part in facilitating these changes. Tayebeh Alirezaee is one of the toughest women on the circuit. Her mental resilience is outstanding and she has a lot of advice and skills to offer other women thinking about entering the sport for the first time. Starting social trail runs in their communities and facilitating conversations that break down the barriers will serve to make a huge difference. Open and honest discussions about their journey to the trails through their communities and social media can make a big difference. But what about others in the industry? What can we all do to help push this agenda along? On a personal level, I believe there is a duty of care from the brands that serve our sport. Right now, far too much gear is aimed at men. You can see why with a 75:25 split. But if we’re to ever advance towards a far greater representation in our sport, gear needs to be designed and made specifically for women. Brands need to stop thinking about short-term profits with the male market and think far more about the long-term potential that the female market offers. Items such as backpacks in particular are so focused at men that quite a few very experience female trail runners I know have commented that they still yet to find a backpack that fits them. And then there’s the media and websites such as our own. Profiling and promoting female trail runners from a variety of backgrounds inspires women and demonstrate how achievable and rewarding running trails is. “It is important to not only focus on fit elite female athletes, as this is often just another ‘barrier’,” advises Jo. Over the last 12-18 months, I have personally made a conscious effort to prioritise females in our previews by often covering them ahead of the men. It’s something I am going to commit to for Ultra168 indefinitely, ensuring the representation of female and male coverage builds up to an equal footing. The fact of the matter is that it is the responsibility of us all to ensure women are far better represented in our sport than they currently are. That is the brands (through more specific gear), the media (through better profiling), male runners (through greater understanding of barriers) and female athletes too (in providing guidance and mentoring). The growth of our sport is going to come from having more women become involved with it. It’s time we all started doing more to make it happen. Great post John – love it. Good article. I tried hard to encourage female entries into the recent Galston Gut Buster and we achieved a 50/50 split in the shorter 8km race, but in the longer 20km it was exactly the 25/75 your refer to. I don’t know why there was such a disparity between the splits of the two races, but from a few discussions afterwards, felt that with the shorter race, we’d been able to encourage more non-trail female runners to give trails a go. Let’s hope that will translate into increased female numbers for the longer events over time. One woman I met who wanted to get out in the bush gave her reasons for not doing so as, “being scared of people she might meet, having no training partners who would go with her”. Great article, but one major barrier is childcare and family commitments. Women of small children would love to compete in more events but the time to train is difficult with small children and husbands that are at work. An event with childcare would get a thumbs up from many mums! I’d be happy to get together with other women to train with, problem is finding each other. I’m heading to the mountains this Saturday morning, if anyone wants to join me! I’m certainly not fast, walking those uphills. Come on up! We might also need to think about more non-competitive events were the focus is more on exploring a particular trail than going fast. I know I started trail running because races offered a safe way to explore remote areas. Maybe an event with different pace groups where no one gets left behind would be more appealing to new ( and not-so-new) women trail runners. Wow! Thank you so much for bringing up the safety issue! This one is huge for me. At my first ultra, I found myself running through the woods with two older men behind me. I could hear their conversation; they were talking about how much they wanted to “pound”, “hammer”, and otherwise damage my sensitive areas. Put yourself in my running shoes and imagine how it felt to be chased through the forest while hearing that conversation. It is the stuff of nightmares. I eventually hid in the portapotty at an aid station and let them go ahead of me. I’d love to say something like this only happened once, but that’s not been the case. Speaking for myself, I do not assume I will be safe at races. I personally will not register for a race that has not historically had high female participation. Also, the good men (and of course, that’s most of them) need to be more active if they witness sexual harassment. If you see it, say something! Wow Heather – that’s horrible. What race was this? I assume the 3 older men were competitors? Did you report it to the Race Director? People like that tend to end up with lifetime bans from races. Thanks for writing this and supporting the growth of women in ultras! Can you make up your mind whether you’re talking about trail running or ultra running? Opening paragraph is about ultra running, but then most subsequent barriers to entry discussed were about trail running. In the end I guess the article was about trail-ultra-running given the percentages of women participating that you mentioned. Salomon short course trail races in Vic can go OVER 50% female. Two Bays Trail Run 28km run 2014 edition was 39.2% female. Once races become significantly longer then the percentages drop to the numbers you mention. Women don’t really seem to be all that deterred from trail running. Distance seems to be the major factor determining their participation or not. In which case does it really matter that women don’t get to the same OCD levels about trail running as some of their male counterparts?… because their participation levels are doing just fine at shorter distances. You’ve effectively answered for me Rohan, but indeed I’m talking about ultras here, and because the majority of ultras in this country are on trail, then that’s where I have maybe confused people and interchanged the terms. ok then I reckon you hit on the reason when you mention testosterone…. Men have it and Y chromosomes. It makes then more extreme and driven. obviously that part won’t change, but…. The answer isn’t always to say ‘how do we get women to do something in the same numbers?’. Instead of treating women as if they are juveniles who need mentorship to do ultras, you could equally suggest that men need counselling in bringing more sport/life balance into their lives and should be counselled to reduce their running distances to make them better able to deal with family, career etc. Why assume that the female approach is the one that requires adjustment rather than the male approach? When we look at incarceration rates we don’t think, ‘how can we imprison more women?’ We view the male tendency to higher crime rate as a problem. At some point long distance running can be a problem and not a virtue. In trail running women make that call at a shorter distance. This should not automatically be regarded as a problem. Especially when their participation rate is so high. I don’t have the figures to hand, but I suspect female participation in running events exceeds that of men these days, especially when you see that the mass events can go way over 50% female. ps. I went in one of the Color Run events and that was amazingly young female. As a middle aged male I felt very much in the minority. I think perhaps they need outreach programs to mentor my demographic in dance moves and clothing choices so we feel more part of the Color Run community. Cheers Rohan – I agree with you. I did make mention of this in the article (towards the end), in that this is not something that should be driven and focused upon by women. There is a responsibility of men to understand the varying challenges to women and that is what the article is also about. I wanted to bring out the challenges so that our male readers could appreciate it. I am also planning on a follow-up article that profiles a man who’s wife runs, how they manage it and his appreciation and understanding of the whole thing. It’s a two-way street. Maybe I should have brought that out some more, but the implication is definitely there that men should understand moreso the challenges. Since having my own family I have dropped down in distance the races I run. I used to run 100km and 100 milers, now it’s 50km and the occasion 100km race once a year. I do this because I chose (and want) to spend time with my family moreso over running and that my wife also needs my support to enable her to do her ‘thing’ too. Thanks for bringing these aspects out some more… it’s crucial. I like what Rohan said. Why do we need to “get” women, or anybody for that matter? Why not let everybody decide if it is as important to them as it is to some of us? I think (in my 14 years experience) trail running AND ultrarunning are very inclusive niches, and those that want to, come, and stay however long they’d like. My years involved in sport of all kinds, I have asked this question often, How do we get more women involved? So I was glad to read this post! My business partner and I are in the process of creating Australia’s 1st Womens Adventure Magazine and website, and are calling for all the help we can get from experienced women in all outdoor adventure fields. Our mag Travel Play Live – believes creating a community , is the key to facilitating a shift of women to running and cycling trails and into any type of adventure sports and fitness related travel. It requires a non-threatening group environment where women feel safe and without pressure to be of a certain speed or ability. Activities that are done with a focus on friendship and encouragement , as well as fitness and education, takes away the pressure for girls to keep up or perform. Also having online groups/websites for women to get involved in creates a non- threatening community where they can learn about adventure, fitness training, self confidence for sport etc and also meet up , helps women take the first step. Like the Summit Sisters , we believe community is the catalyst to see more women in outdoor sport. If anyone out there wants to help us spread the word, help us create this Aussie “Womens Adventure Magazine” we are looking for women (and guys) in their chosen field who can offer assistance for contacts throughout Australia, articles, stories, product reviews , photos etc. this way we can all work together to improve the numbers of women getting out there and amongst it! You’ll only ever get the big thumbs up from me on this topic Ultra168 – well done! ‘Fear of the unknown’ and self doubt would be by far the most commonly expressed reasons women share with me as to why they hesitate to get involved in our sport. 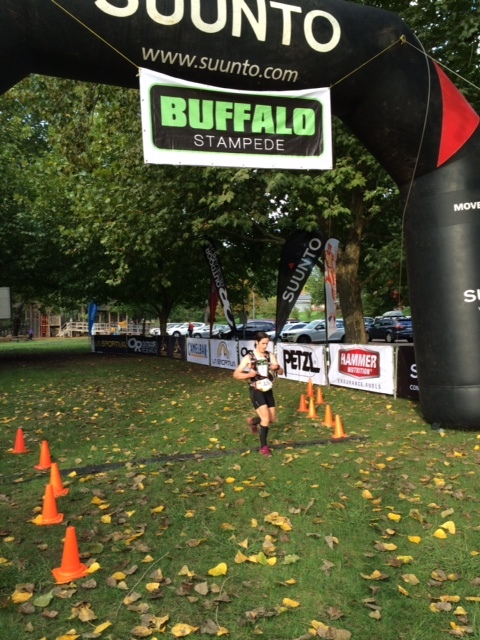 Interestingly of the 19 women finishers at Buffalo, 11 were aged 40-49. I think profiling more women in the older age groups and really honest accounts of their journeys into ultra would be helpful. Also based on the comments above perhaps have a dedicated page on Ultra168 with a list of training groups / contacts for women wanting to get into the sport. Lots of simple, practical steps will help encourage participation. That’s a great idea Kirrily – watch this space for more profiles soon! I think its great that females participate in events and ultras on trails and road. My experience has been that females are made to feel welcome and it has always been the case. I have never gone to enter a race that has said “sorry, no females allowed”. I don’t really get the point of trying to get the numbers up for the sake of statistics or going on a particular “mission” to get more females involved. If females are interested and feel comfortable with what they are doing then they will enter an event, at least give us credit for making our own choices without having to “fix” the statistical disparity. As mentioned above there are many barriers which can not be changed like child care and family commitments but we must also remember it’s not everybody’s cup of tea. I believe the numbers will always be more male to female and there’s no problem with that. I kind of look at it like. “hey lets get more guys doing Zumba” not going to happen! There are many great stepping stones to running on trails and to running ultras the main thing is that everybody feels welcome and safe and has fun. If the event is run well then the numbers will grow. Great article. Jo & Gretel are doing a great job building the Summit Sisters community and I’m luckly enough to live in the Blue Mountains. The biggest barriers for me are child minding, navigation and personal saftey. With two very young children and a hubby that loves Ultra’s I have very little time to run and, even when I do, I need to push both kids in the pram. I agree with Kellie – an event with childminding would sell out! In addition, I live near the bush but am petrified of getting lost. Nor do I wish to venture out on my own – I can’t run fast enough to evade dodgy people! I’m sorry I missed this thread until now! A good topic, though I don’t necessarily agree with the angle you and the interviewees took. Really liked Rohan’s comments re women making their own call. 50:50 split in participation doesn’t have to be the goal. Remember that one size doesn’t fit all. Being in a male-dominated sport, fear of the bush and navigation, need for company and mentoring may be issues for some women but not all of us – none of those things bother me at all. And women can be just as much the gear junkies as men, though it is true that there is often a smaller selection of female-specific (or at least female-friendly) gear to choose from. Dan, I appreciate your efforts to do the women’s race previews ahead of the men’s race, but it has always bugged me that you refer to us as ‘the ladies’ or to the lineup as ‘the ladies race’ before going on to talk about the men. What’s wrong with women’s race and female competitors?